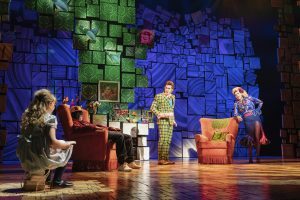 Matilda the Musical is at Milton Keynes! Winner of over 85 international awards, including 16 for Best Musical, Matilda The Musical is at Milton Keynes Theatre until 30 June. The title role is being shared by Annalise Bradbury, Lara Cohen, Poppy Jones and Nicola Turner. 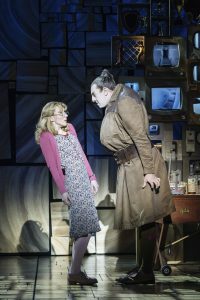 Craige Els is reprising the role of Miss Trunchbull, having played her in the West End for three years between 2014 and 2017. He is joined by Carly Thoms as Miss Honey and Sebastien Torkia as Mr Wormwood as well as former West End cast-mate Rebecca Thornhill as Mrs Wormwood. 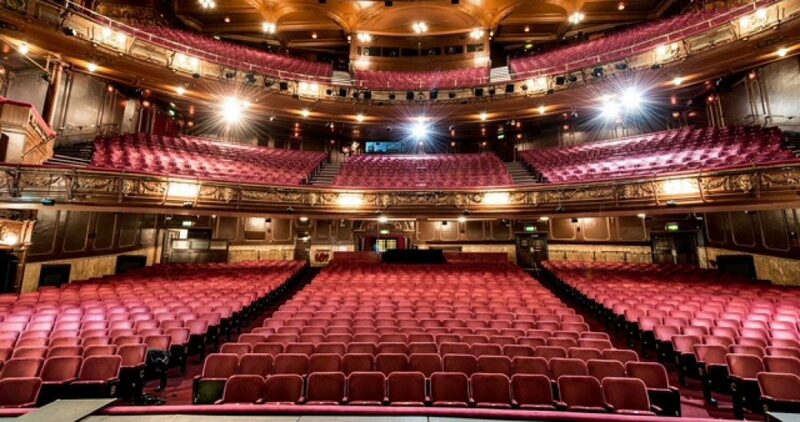 The production will be accompanied by Change My Story, a new RSC education programme inspired by Matilda The Musical and devised in collaboration with each touring theatre partner to help build long term partnerships between school communities and theatres. 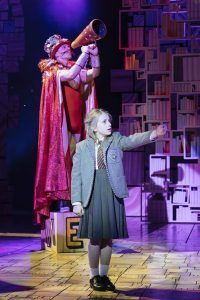 Matilda The Musical is at the Milton Keynes Theatre until June 30th. The sets, the music and all of the production methods used are spectacular! The mother & father and of course Miss Trunchbull are beautifully crafted characterisations of the Dahl books and an absolute joy to watch. My only problems were that much of the dialogue was missed due to the usual poor sound quality and I found it difficult to have any sympathy for Matilda herself! I’m sure she got all the words in the right order and the Matilda on duty on the night I was there, enunciated perfectly (possibly too perfect?) but for all that I got the feeling this was a recitation with nothing behind the eyes. Fans of musicals with children in the cast will love this although don’t expect a Wow moment like in Oliver or Billy Elliot.